Notes: For this sweater I wanted "boyfriend" sweater look. 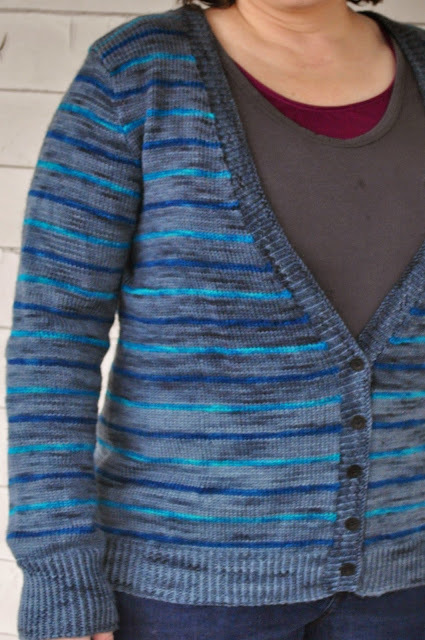 The two accent colors I had weren't strong enough for colorwork and I was worried about running out of Charcoal. 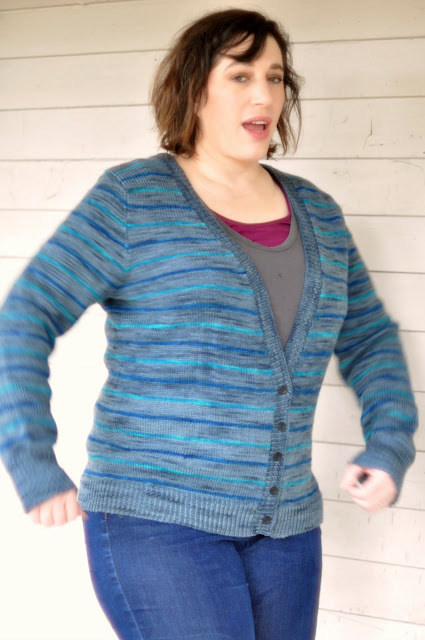 I opted for a 20 row stripe pattern (2 B, 8 A, 2 C, 8 A) and choose to knit the body in one piece to minimize seaming the stripes. I also drove myself nuts trying to make the stripes on the sleeves match the body stripes. They line up perfectly even up through the sleeve cap. (I didn't manage to get a decent photo of this so you'll have to take my word.) I had so many ends to weave in but I really love the subtle striped look.